After a year at Zolder the Belgian GP was back at Nivelles again and there were 32 cars present. Missing from the entry in Spain were Chris Amon, who had decided to have his car redesigned, and Tom Belso who had been replaced in the second Iso-Marlboro by Gijs Van Lennep. There were four Grand Prix debutantes: Tom Pryce driving a car which had been designed as a Motul by Ray Jessop for Ron Dennis and Neil Trundle of Rondel but was being run as a Token by Tony Vlassopoulo and Ken Grob; Gerard Larrousse appeared in an old Brabham entered by Bretscher Racing; Leo Kinnunen was at the wheel of an old Surtees; and local hero Teddy Pilette at the wheel of a third Brabham thanks to sponsorship from Hitachi. Australian Vern Schuppan appeared at the wheel of the Ensign thanks to backing from Macau businessman Teddy Yip. Qualifying resulted in a rather suspect pole position for Clay Regazzoni , who was credited with a time which was a full second faster than everyone else. Then came Jody Scheckter in the new Tyrrell. The next 10 drivers were all covered by a second. Niki Lauda (Ferrari) shared the second row with Emerson Fittipaldi's McLaren while the third row featured Ronnie Peterson (Lotus) and Arturo Merzario, showing well once again in the Iso-Marlboro. The top 10 was completed by Jean-Pierre Beltoise (BRM), Carlos Pace (Surtees), James Hunt (Hesketh) and Hans Stuck (March). Local hero Jacky Ickx was a disappointing 16th in his Lotus, while Carlos Reutemann was a disastrous 24th after a troubled practice. Only Kinnunen failed to qualify. At the start Regazzoni went off into the lead with Scheckter and Fittipaldi behind him. 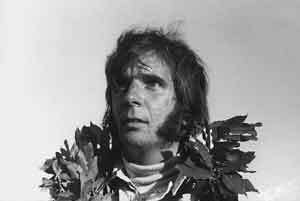 At the end of the lap Fittipaldi breezed past the Tyrrell to take second place. Behind the top three Peterson led Lauda, Hunt, Pace, Beltoise and Merzario. On the third lap Lauda overtook Peterson and a few laps later went past Scheckter as well. The order then stabilized until the front-runners ran into traffic. Lauda was slightly delayed by one and was retaken by Scheckter. Seven laps later they switched places again. Peterson went into the pits with a brake problem, while Regazzoni was pushed onto the grass by a backmarker and lost the lead to Fittipaldi and Lauda was able to grab second as well. Hunt disappeared when his suspension failed and he was thrown into a spin. He was replaced in fifth place by Depailler but the Frenchman went out soon afterwards with a brake problem. This elevated Beltoise and Hulme into the top six although both were overtaken later by Hailwood, although he dropped behind again because of fuel feed problems in the closing laps. Fuel problems also resulted in Regazzoni dropping behind Scheckter on the final lap and so the podium featured Fittipaldi. Lauda and Scheckter.